This butterfly bracelet pair will make a stunning addition to your accessory collection. Each stone is hand selected to ensure they are beautiful. 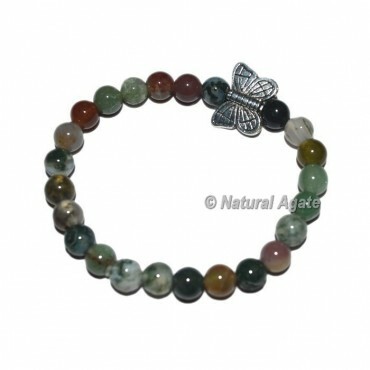 Every gemstone is unique which makes every bracelet totally individual to you! Get Beautiful Flower Amazonite bracelets with butterfly charm.